Ask the Allergy Coach Q8: My Son Misses Out on Treats at Day Care, What Can I Leave for Him? Ask the Allergy Coach Q7: Freaking Out Over Cross-Contamination, Is It Over the Top? Ask The Allergy Coach Q6: What can you do when your in-laws only serve pizza and you’re allergic to dairy?! Ask The Allergy Coach Q5: Can you cure IgE allergies through abstinence and then reintroduction? Ask The Allergy Coach Q4: What can I use as dairy and refined sugar substitutions? Ask The Allergy Coach Q3: How should we react to allergy horror stories? Ask The Allergy Coach Q2: I’m only eating safe foods and I’m so hungry! Advice please?! Ask The Allergy Coach Q1: If you’re allergic to peanuts, does that mean you’re allergic to all nuts? 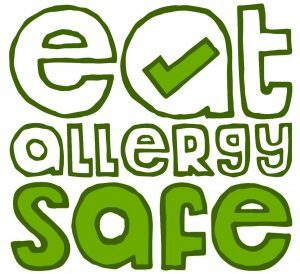 EAS 068: The Future of Eat Allergy Safe – What is Allergy Coaching? EAS 045: What’s it Like Being An Allergy Kid? Episode 14: When Do You Know You’ve Raised Your Allergy Kid Right? Episode 8: Can You Keep Life an Adventure With Two Allergic Children? Emma Amoscato Of The Free From Farmhouse Say’s Yes!